A mixed season so far has meant that Gretna find themselves alongside Vale in a clutch of teams who are battling it out to finish in the top half. A roaring start saw them win four from their first six before a dip in form and then a levelling out. They now sit tenth – three places and one point behind Vale. Only nine points separate fifth and 14th, meaning three points could be massive for either side. Since losing 2-1 to Vale in the South Challenge Cup they have suffered disappointment in the Scottish Cup, losing 6-2 to Buckie Thistle in a replay after a creditable draw away to the Highland League side in the original tie. 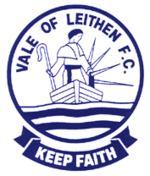 Vale will be looking to return to winning ways after a promising performance against East Kilbride ended with nothing to show for it. Chris Anderson said: “We are very much looking forward to the visit of Gretna. “It was only a few weeks ago that we ran out 2-1 winners but today’s game will be another challenge for us altogether. 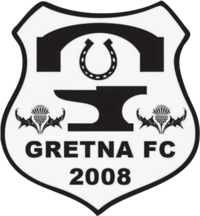 Gretna have a new manager and will be determined to push us all the way. “It was great to see James Elliot and Jay Stevens return after injury last week and both are influential players that we hope have put their injuries behind them. This is the first of five fixtures against teams lower down the table, with a cup game against Threave Rovers in between, and the importance of picking up points and progressing in the cup is not lost on the manager.